The black walnut tree is a species in the genus Juglans and is native to eastern North America. Walnut trees have served as an important human food crop for centuries, and as a source of nourishment for wildlife since time immemorial. Even in modern times when food and building materials are at our proverbial fingertips, the black walnut stands out as a source of easily gathered food and building material par excellence that we can incorporate into a sustainable future for centuries to come. 1)	General characteristics: Black walnut is a medium to large (50-125 ft. tall) deciduous tree with a potentially large crown spread at maturity (50 ft. or more). From a distance the outline of the tree's crown appears rounded. 2)	Bark: Moderately thick and interconnectedly furrowed on mature trees. 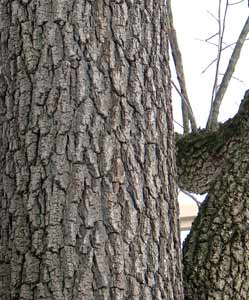 The bark is usually dark gray to black. 3)	Twigs: The twigs (current year’s growth) of the black walnut tree are stout and cylindrical without any obvious ridging or angularities. 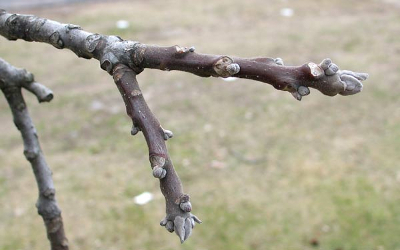 The twigs are a medium brown/gray in coloration and are covered with small rounded lenticels (raised pores). The pith in the interior of the twig is honey brown and divided into distinct chambers. 4)	Buds/leaf scars/bundle scars: The lateral buds are small, ovoid and tomentose pubescent (densely-matted hairy-surfaced) with an acute tip. The terminal buds are relatively large, elongate oval in shape and tomentose pubescent. The leaf scars are distinct with an overall heart shaped outline and three bundle scars resembling a monkey’s face. 5)	Leaves: The black walnut tree has alternate compound leaves with leaflets that may be alternate or opposite. Each compound leaf has 11-23 lanceolate leaflets with acute tips, single-toothed margins and pinnate lateral venation and extensive sub-lateral venation. The leaflets are longest in the middle of the leaf and the terminal leaflet tends to be noticeably smaller than the middle leaflets. The mature leaflets are dark green above and lighter below. The bases are rounded and asymmetric. 6)	Roots: Black walnut is tap-rooted with accessory lateral roots. 7)	Fruit: A large drupe (a fleshy fruit surrounding a shell/pit which contains a seed, which is not technically a true nut, however walnut seeds are often referred to as "culinary" nuts). The pit of a walnut is a heavily corrugated dehiscent pit (pit that splits open at maturity) surrounded by an aromatic outer husk. The black walnut tree is native to eastern North America. 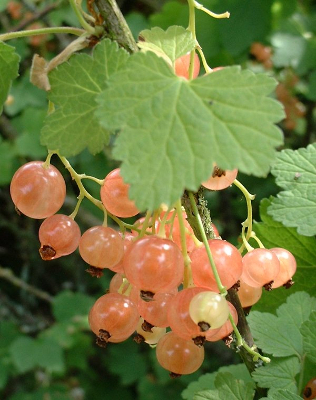 It prefers rich, deep, well-drained soils and stream terraces, but will grow in drier upland soils as well although they won’t grow as quickly or reach the same size as trees growing in more favorable alluvial soils. Black walnut is commonly found in limestone derived soils. 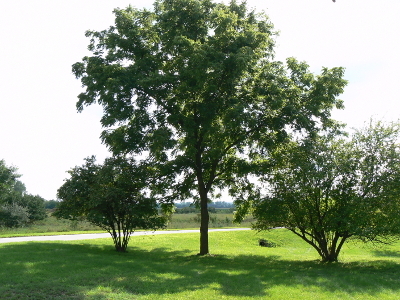 Black walnut is often one of the first trees to colonize abandoned fields throughout its native range. 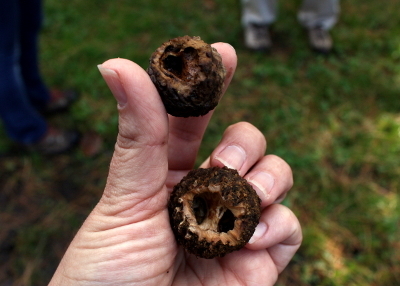 Black walnuts need full sun and can regenerate from stumps after forest fire events. Black walnuts produce mast crops (large numbers of drupes) on average of twice every five years. 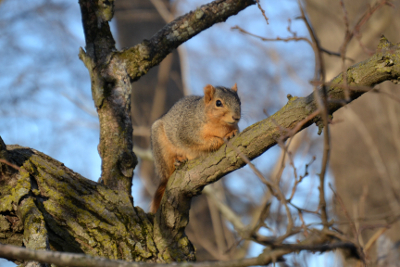 Black walnut mast feeds a variety of birds and mammals most notably the eastern fox squirrel (Sciurus niger) whose diet may at times include 10% black walnut mast. Fox squirrels feeding on walnuts will leave obvious signs such as walnut shells with holes eaten in one side of the shell and paired incisor marks around the edge of the hole. They also make numerous digs both from caching the drupeacous nuts and retrieving the caches for consumption. The digs are usually small and neat with limited throw mounds and often a round depression at the base of the hole where the nut was cached. Black walnut typically spreads when squirrels cache the drupe and fail to retrieve it at a later time. The drupes typically need a period of cold stratification at between 34-40 degrees Fahrenheit before they will break dormancy and germinate. The leaves of black walnut are low quality browse however white-tailed deer do at times eat the leaves. Black walnut trees have a complex and often times conflicting relationship with other plant species. The leaves and roots manufacture the chemical juglone. 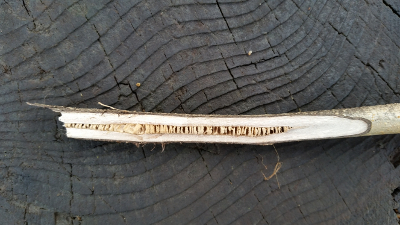 Juglone is toxic to many species of plants which allows the black walnut to monopolize space, and nutrients, within its root zone, decreasing competition with understory plants (this action is called allelopathy). The drupes of the black walnut tree were used as food by first nations people in the eastern United States and the roots were used to make a black dye. Black walnut is still used widely as a food plant in modern times (the drupes). The trees are also planted as ornamentals, shade trees, and as a reclamation tree on old surface mining sites. Black walnut shells have also found their way into the realm of industry as ground walnut shells have been used to help clean commercial jet engines. The wood of black walnut is strong, durable, straight-grained, and is prized for the manufacture of furniture. The wood of black walnut is seldom used as firewood due to its value in woodworking. However, when used as firewood, black walnut is a good medium density, relatively high heat (22.2 million BTU per cord) wood that burns clean. Black walnut provides a number of benefits to the temperate zone permaculturist. The trees produce edible nuts which can also be used to make oil. The trees can also be tapped in a similar manner to maples (Acer spp.) for syrup production. The husks also make an excellent dye. Black walnuts also present challenges to the permaculturist because of the trees' allelopathic defense system. Since black walnuts exude juglone the species and cultivars used in conjunction with black walnuts in a food forest, or plant guild, must be chosen carefully. Plants in the family Elaeagnaceae such as goumi berry grow well as a shrub component (and act as a nitrogen fixer) in a black walnut dominated plant guild. 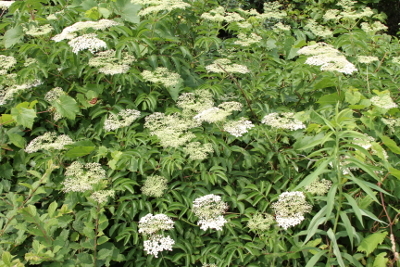 Other shrubs that grow well with black walnut are shrubs in the genus Ribes (currants) and Sambucus (elderberries). 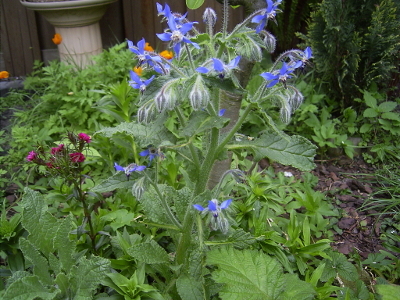 Borage and nettle are strong candidates as understory plants in a black walnut tree guild. Other considerations for your walnut guild, besides the juglone, are light, nutrients, and water. Walnut casts a fair amount of shade (it is often planted as a shade tree) and like all nut trees, walnuts use a lot of water. Walnuts are also heavy feeders (the other plants in the guild get only what is left over from the walnut) so adding nutrients to the soil and planting nitrogen fixing shrubs within your guild is essential. Proper pruning and the fact that walnut leaves emerge late in the spring and lose their leaves early in the fall open up the understory to sunlight. Black walnuts are one of the most valuable and versatile trees in North America. The trees were valued by first nations for their drupes and dye capabilities. 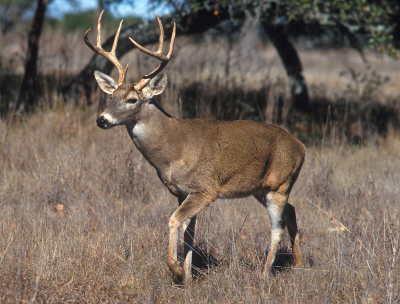 They are valued by wildlife for the food and shelter they provide and by modern cultures for their use as food, furniture, and even industrial applications. The black walnut is an excellent tree for the future as a versatile addition to permaculture systems that will provide habitat for the next generation. 1)	Majda, Wojciech. Designer Ecosystems. Oct. 28th, 2014, web. June, 23rd, 2016. 2)	Kitsteiner, John. Temperate climate permaculture. Oct.10th, 2011, web. June 22nd, 2016. 3)	The meanings of Latin names. Virginia Tech University. Department of Forest Resources and Environmental Conservation, web. June 23rd, 2016. 4) www.itis.gov. United States Federal Government, web. June 23rd, 2016. Learn more about the black walnut tree at the Plants for a Future (PFAF) website. 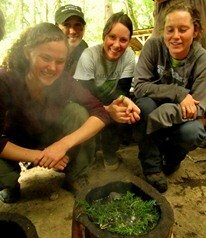 Learn all about useful plants and trees at our Permaculture Courses and Wild Edible & Medicinal Plants Courses.